Hudson’s RapidPick SP is a single-pin version of Hudson’s widely acclaimed RapidPick multi-pin colony-picker and re-arrayer. 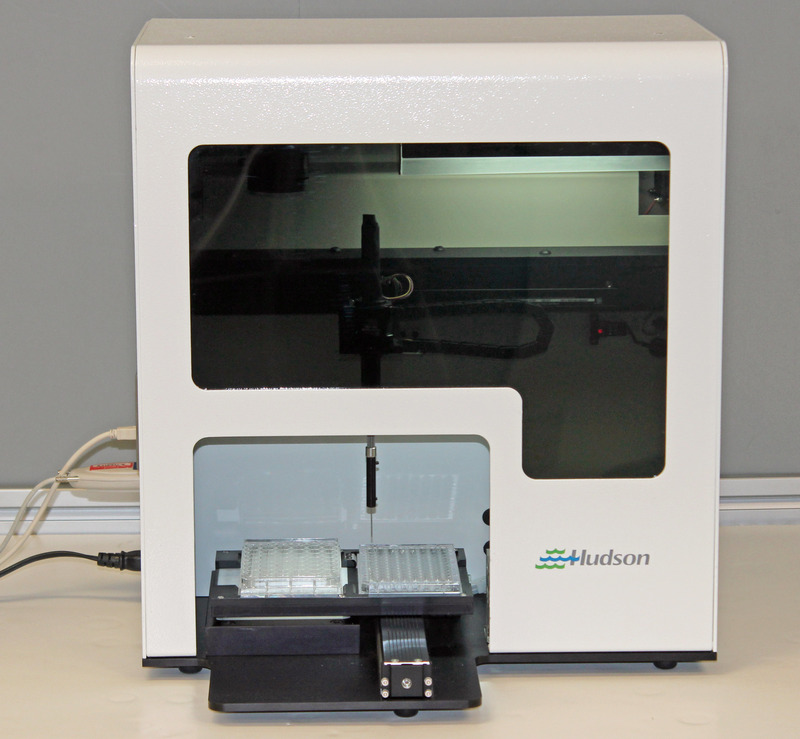 Like the RapidPick and RapidPick Lite, the RapidPick SP has all the features needed by users in today’s molecular biology environment. The RapidPick SP has been designed to meet the needs of labs that can benefit from automated colony-picking and data-handling, but whose throughput needs can be met by its medium-throughput productivity. The RapidPick SP has all the colony-picking and colony-handling features of our other RapidPick models, and is designed for medium-throughput, 400 colonies per hour. The RapidPick SP fits easily on most lab benchtops, and is ideal for use within anaerobic chambers. The system is fully compatible with Hudson’s PlateCrane EX. SoftLinx scheduling software, already installed on the RapidPick-SP is ready to go for integration of the plate handling arm and stacks. Advanced integration with other instruments as part of a complete molecular biology workcell is easily done.